A few weeks ago a friend and I took a trip from where we farm in Kearsney to the town of Greytown. I must admit, I had driven through Greytown on my way to the Natal Midlands many times before but had never taken the time to stop and see what the town has to offer. Our first stop was the Greytown Musuem which has been in existence since 1961 when the Greytown Women’s Institute was requested by the Greytown Town Council to start collecting photos and other items that were of historical interest! The first home of the museum was a large room next to the Library but in 1972 it moved to the Old Residency where it has been ever since. The Residency itself is well over 100 years old; an ideal place for a museum! On display is a large collection of memorabilia from the Umvoti Mounted Rifles part in the Bambatha Rebellion, the Zulu and First Anglo Boer wars as well as both World War One and World War Two. Other interesting items on display include a footscraper which originated from the Wesleyan Chapel in York where it had been in use for many years, to a large stone trough which had been used in 1906 for horses of the Umvoti Mounted Rifles and as the oldest exhibit at the museum, a cannon which, according to the British Navy had been made as early as 1750! The museum also has a Victorian Children’s Room, a Hindu and Muslim Room, Zulu Culture Room, a blacksmiths forge and a selection of farming equipment. 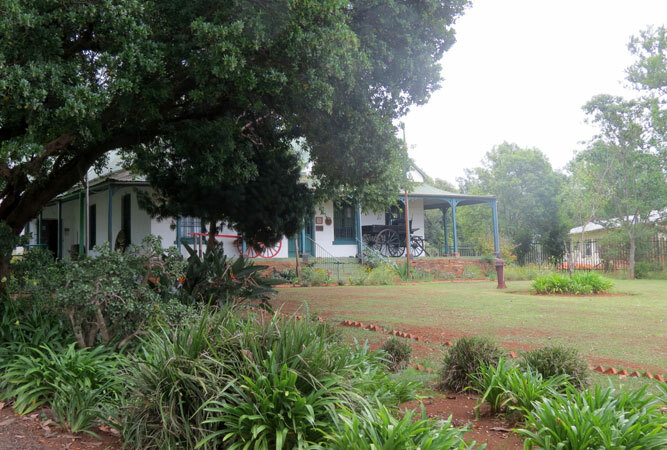 The Museum is open from 08h00 to 16h00 Monday to Fridays and is also open on some Sundays. Call +27 (0)33 413-1171. After driving through the wide, tree lined streets admiring many a beautiful old home we made our way to Tranquili-tea … a well known eatery in Greytown. Even on a misty day the views across the farmlands and valley are quite spectacular; I must make an effort to go back on a clear and sunny day to get the full benefit of the location! Tranquili-tea offers a range of tasty treats from scones to quiches, toasted sarmies, muffins, cakes and of course tea, coffee and milkshakes! Although we sat indoors because the weather was miserable there are a number of tables and chairs outside for those sunny days. 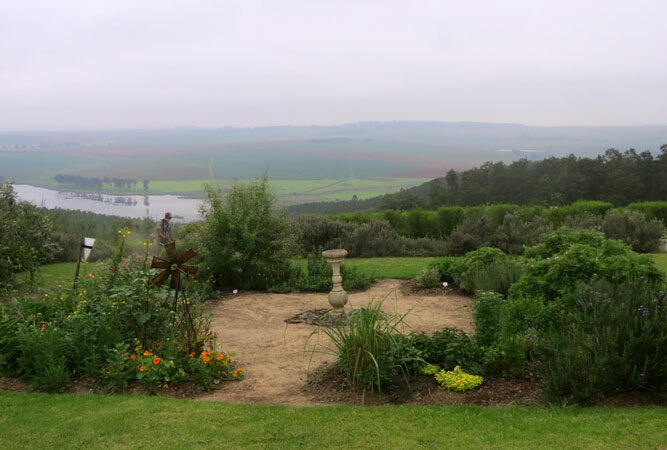 Also on the premises is The Country Nursery which stocks a wide range of indigenous plants and a 500m² maze which comprises over 700 indigenous freylina … imagine getting lost in that! 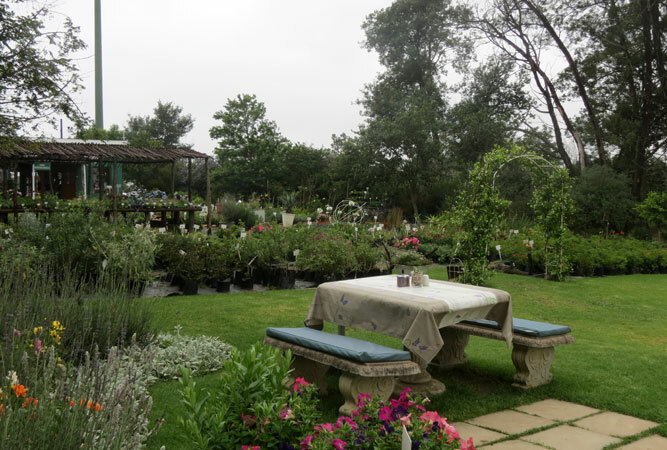 The nursery and Tranquili-tea are open seven days a week: Monday to Friday 08h00 to 16h00, Saturday 08h00 to 14h00, Sundays and Public Holidays 09h00 to 14h00. The phone number for Tranquili-tea is +27 (0)82 964 0612.